Community management is the attempt to engage with, cultivate, nurture and monitor a given audience to build your social media presence. At Luckie, we pride ourselves on being able to get our clients closer to their customers. It’s kind of our thing. And that expertise takes many shapes and forms throughout our agency. We marry smart data and insights with creativity on a daily basis within different departments. But perhaps one of the most elemental ways we help our clients get to know their customers (as well as create a connection with them) is through our work in social media. As a discipline, we’ve seen social media evolve over the past several years into an amalgam of paid and earned media, with nearly every major platform also providing in-depth analytics and insights into performance. What’s more, we recognize that there’s a key player at the heart of all social media efforts who not only keeps up with these changes and added responsibilities, but also helps to ensure success and puts the audience’s needs first: the community manager. Community managers are your first line of defense. When a piece of content suddenly goes viral, or there’s a customer service issue with one of your products, top community managers can spot it right away and will alert the proper response teams. Whether your brand is a trending topic intentionally or unintentionally, community managers play a key role in fanning the flames of fandom or soothing the savage social beasts. Community managers care about their audiences. Even with crisis and risk management at play with some of the larger issues that impact social brands, there are often minor issues that might arise in which community managers can provide expertise. This can often boil down to quality control. Community managers can spot when content or tone of voice isn’t quite right in a post, and it’s because they’ve taken time to know their audience’s preferences and expectations. This intuitiveness can play a key role in shaping and growing communities, no matter the platform. Community managers can help predict behavior. As mentioned above, community managers know their audiences well. And those who have been working with a particular brand or industry long enough are especially adept at predicting how an audience will react to a piece of content, an image, a company announcement – anything, really. They look for patterns of behavior and can even find ways to surprise and reward participating or top fans. This knowledge can be a marketer’s best friend if they know how to tap into it. Community managers can help personalize content. By proactively listening to social conversations and paying attention to trends, community managers can add an additional layer of personalization and dynamism to content marketing efforts, capitalizing on conversations that are already happening and creating a few of their own. If your audience responds to a certain type of content, community managers can work with social and content teams to provide more of that to them. Community managers are pop culture powerhouses. Do you know how to speak in GIFs? Can you provide three examples of how Kermit the Frog has revolutionized memes? Community managers do us all a favor by staying abreast of social media and pop culture trends and knowing how those things impact one another. While many of us watch live events on our televisions, community managers often watch on a second or third screen, paying attention to how different networks react to a pop culture moment and gauging whether it would be appropriate to leverage the event for brands they manage. BTW, @LittleDebbie your care package was not only thoughtful but scored big points!  Do you make dreidel brownies from the Santa ones? As with all social media activity, opportunities can arise in real time and at a moment’s notice, and we’re thankful for the community managers who are prepared. Click here to read about our other social engagement services in addition to community management, or simply follow us on Facebook, LinkedIn, Twitter or Instagram to see more of our work. 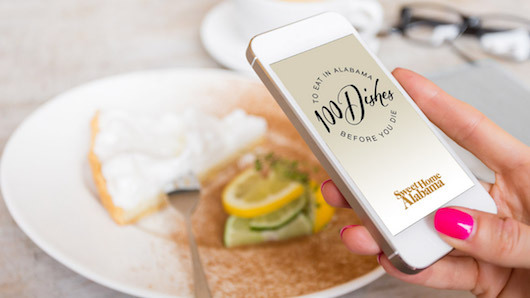 This entry was posted in Agency News, Blog and tagged alabama tourism, community management, community manager, content strategy, customize, Digital Content, Little Debbie, localized, personalize, Social Media, Somerby. Bookmark the permalink.